Click Here to Get SQUEEGEE KLEAN Now! Is Your Roof Under Attack from the Black Plague? Contact Us Now To Get KLEAN! “Squeegee Klean was very professional and did a great job on our carpets. 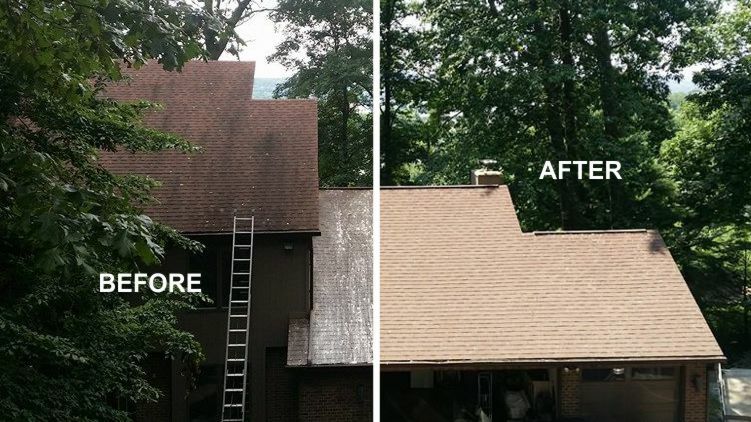 Central PA and Northern MD’s Premiere Window Cleaning, Pressure Washing & Gutter Cleaning Company. 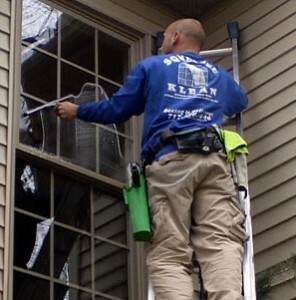 Window Cleaning Company York PA, Pressure Washing Company York PA Gutter Cleaning Service York PA by Squeegee Klean. Hey Steve, it’s Missy Casper calling. Hey just wanna to let you know Heidi and your crew just left and I really need to take a moment to call you and let you know how an incredibly, wonderful job that she and your crew did. As always, she is actually incredible… the guys are great. I mean… alright Steve, I could not be more satisfied. She is just awesome. Like I said, the crew was awesome. So, I just wanted to let you know and give you some feedback. I really thank her for her hard work! Hey Steve, this is Mary Smith calling. I had services done today. I just wanna call and say your team that was here today was simply outstanding. Heidi is a rock star. I’m sure she conveyed to you that they discovered a hole on my roof which she helped expedite getting a roofer to come out tomorrow, but the service is outstanding. Again, the crew outstanding; the results, I am blown away. You know I’ve had you guys do services before so I know you do top quality but my shutters look simply amazing. So just wanted to call and say thank you, thank you, thank you and you have a life-time customer! Contact Squeegee Klean and Feel KLEAN Again! Sick & Tired of Unreliable Cleaners? Squeegee Klean provides regular window cleaning services for homes, large estates, townhouses, farmhouses, duplexes, city properties and commercial buildings. 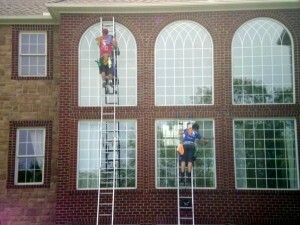 We clean all shapes, sizes and styles of windows. No window cleaning job is too large or too difficult. You will be glad that you called Squeegee Klean, the residential window cleaning company & commercial window cleaning company, for your window cleaning needs. We arrive in attractive vehicles with friendly, well-groomed, uniformed crew members. Our team knows your window cleaning job requirements. Steve oversees every window cleaning job personally. We want to build a long term relationship that you can count on year after year. Our customers say that we have the best window cleaning process in the industry. We use ladders – not poles – to reach high windows to have complete control over the window cleaning process. We use window cleaning mops or strip washers along with traditional squeegees for a spotless and streak-free window cleaning. After cleaning the glass, we wipe down the window frames and window well. The quality of our window cleaning process must be experienced first-hand. Once you have seen our work, you will appreciate the difference between ordinary window cleaning and Squeegee Klean window cleaning. even on the worst days when my 13.5 year old boxer "LADY" who we had since 8 weeks old is not doing the best, on her last days and heart wrenching to watch reviews like this can really put a smile on my face. this is why we do it folks !!!!! Squeegee Klean to Get Started.